Another tea set in the miniature series graces the blog today. 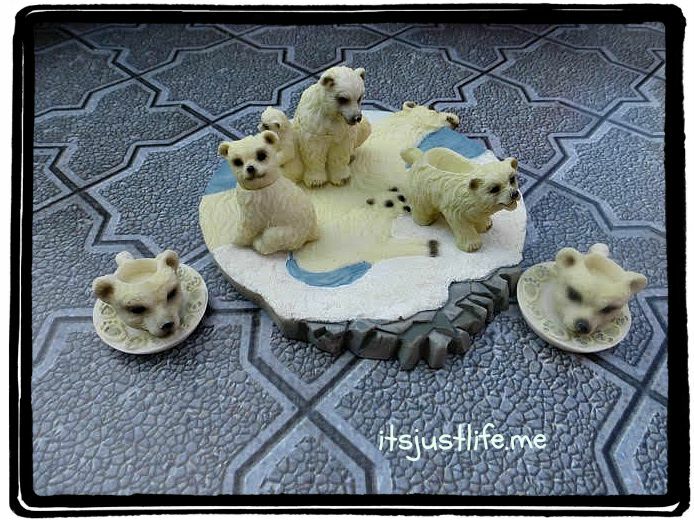 Since Chris and I were “polar bears” in college I think this one is the perfect little set for my collection, don’ t you? 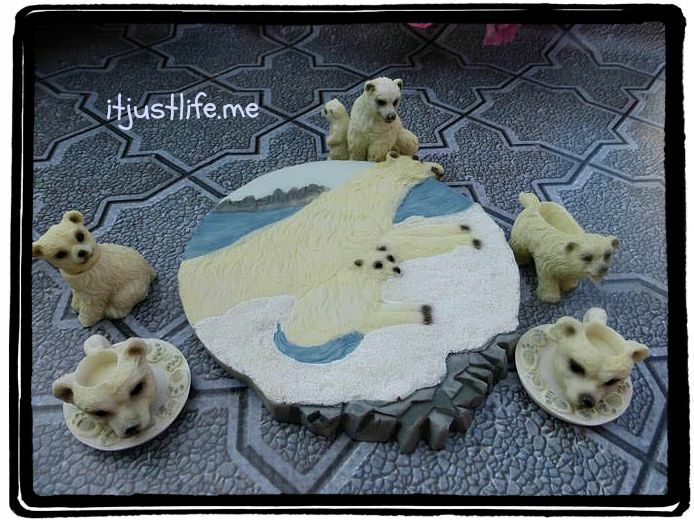 The “teapot” is the polar bear with the baby at the back of the plate. Obviously not functional but tiny and cute! OH my goodness! Cute, Cute, Cute! VERY weird! No presents for you! I love polar bears! The cups are a little creepy, but the set is adorable! Dittos on the hot bath and the cup of tea! Thanks. 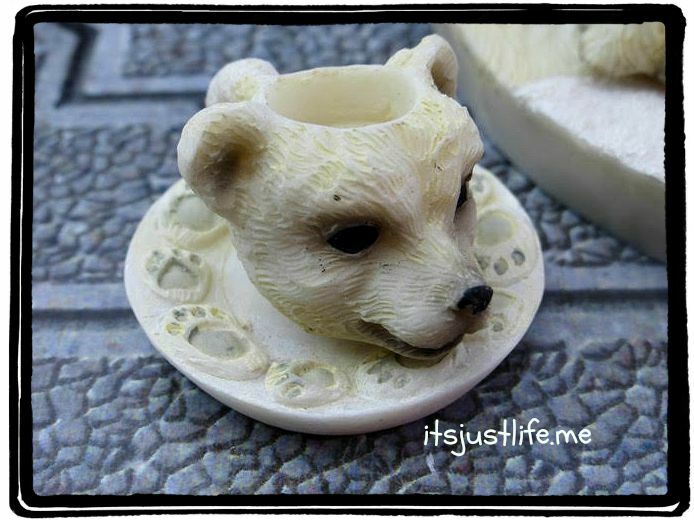 Even with polar bear headed cups it is!